Province of British Columbia, 2014. 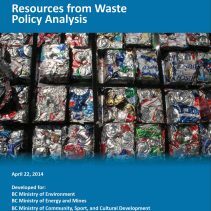 Resources from Waste Policy Analysis. In collaboration with the Sustainability Solutions Group, Stephen completed an analysis of options for recovering energy and other resources from solid waste. The clients for the study were the Ministry of Environment, Ministry of Energy and Mines, and the Ministry of Community, Sport, and Cultural Development, and the analysis was completed in three parts. The first part of the analysis addressed the question: How can we compare the environmental, economic, and social aspects of different solid waste management options? The second part of the analysis evaluated how well each archetypes aligned with provincial legislation and policies for the environment and for social development. San Francisco used extensive outreach (which included multi-lingual training) to help the commercial and institutional sectors separate organic waste, which resulted in a 78% diversion rate by 2009. Curitiba achieved a 70% solid waste diversion rate by using strategies such as buying recyclable materials from individual collectors (“catadores”). A number of states in Brazil adopted legislation to ban incineration out of concern for its impact on employment for these collectors of recyclable materials. Vienna charges households fees which are proportional to the amount of waste they dispose of. Vienna is also concerned about the limitations of existing landfill capacity to dispose of ash from incinerators. 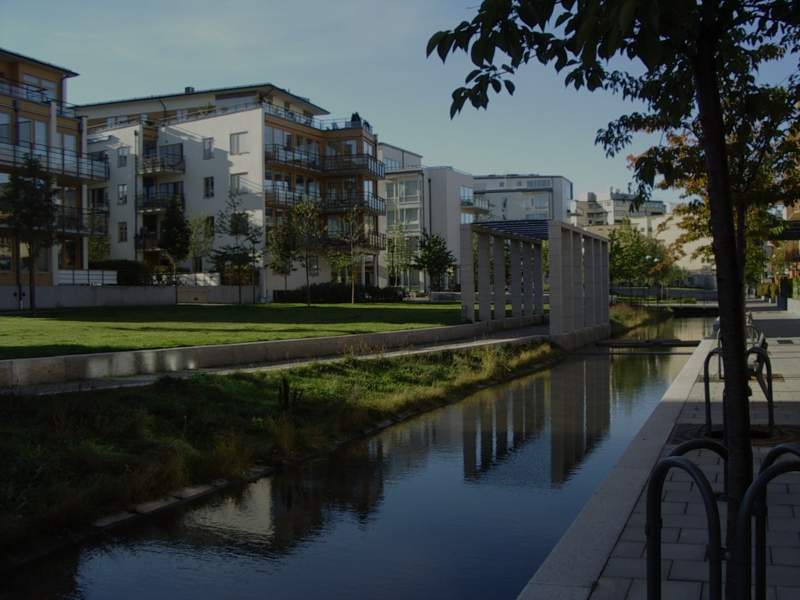 Kristianstad has an objective to become fossil-free. Organic waste, food factory waste, and agricultural waste are processed in an anaerobic digester to produce fertilizer and biomethane. The biomethane replaces fossil fuels in city buses, trucks, private vehicles, and in the district energy system. Halifax implemented a by-law which requires apartment buildings and condominiums to provide collection for organics and recycling. In addition, a Resource Recovery Fund Board manages Extended Producer Responsibility programs. Regional District of Nanaimo (RDN) achieved a 70% diversion rate through a user-pay collection system which was introduced in 1991; by banning clean wood waste, commercial food waste, paper, metal, and other recyclable materials from the landfill; and by composting organic waste. Capital Regional District (CRD) managed a 46% diversion rate, and faced a challenge regarding the loss of revenue from tipping fees as a result of increasing diversion away from the landfill, and also as a result of “leakage” of solid waste to other jurisdictions as a result of higher tipping fees. Ensuring carbon taxes are applied to all greenhouse gas emissions from waste management processes, to ensure the full costs of waste management options are compared equally. Increasing the focus on the importance of methane emissions, to bring near-term greenhouse gas reductions.